Nearly 40,000 sqft of warehouse and office space on busy Rt. 1 in Monticello. 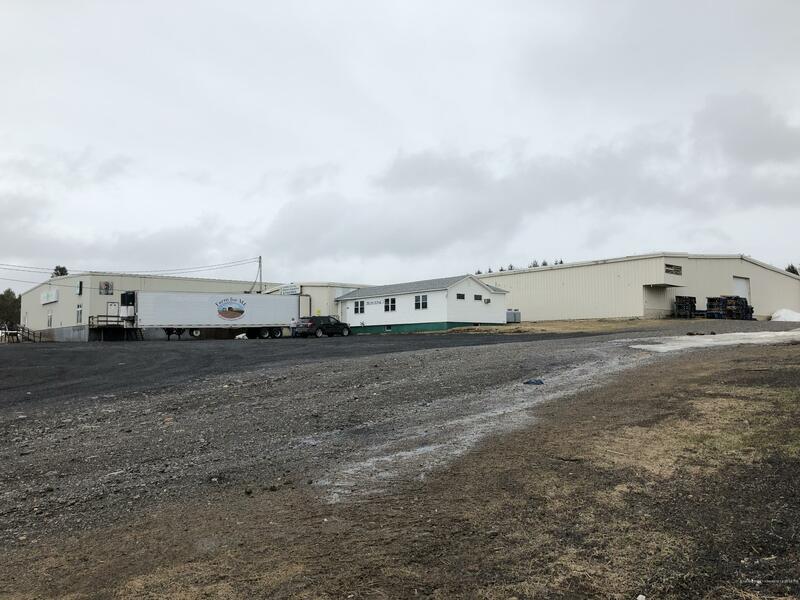 Originally built in 1965 for potato storage, this building has 21x48' office, 20 bins with a central rollway, ten 12x14' and three 14x14' overhead doors and two dock doors. Original metal roof on main structure has been insulated and a rubber roof installed. 400 amp, 3 phase power with dedicated overhead wiring in L shaped addition built in 1990. The property is located on the east side of Rt. 1 on a surveyed 8.12 acre lot. Additional 35x80' lot along the recreational trail has a 24x55' storage building.